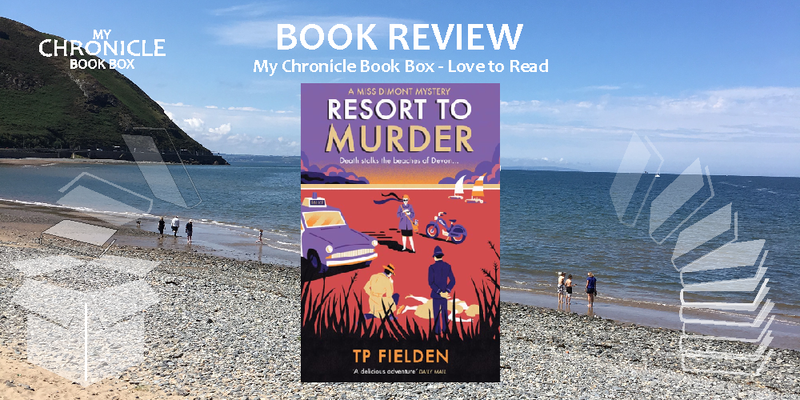 There are two suspicious deaths in the idyllic seaside town of Temple Regis on the English Riviera within a few days; an unknown young woman and Temple Regis’ wealthiest businessman. Are one or both foul play? And are the deaths related? Chief reporter at The Riviera Express, Judy Dimont intends to find out in spite of her editors instructions to keep her nose out and the annoyance of Police Inspector Topham. And these are not the only newsworthy events in Temple Regis this week; a beauty pageant is in full swing and the latest chart-topping pop group have just arrived. This is a great cosy mystery and can be read as a stand-alone novel. It is set in 1959 and the effects of wartime are still being felt on The English Riviera; the story touches on the roles women took on during the war and the impact of having to surrender them afterwards. Miss Dimont is a delightful protagonist, a talented investigator and described as ‘a lady of a certain age’ which I take to mean she is in her forties. She is ably and enthusiastically assisted in her investigations by The Riviera Express’s newest and most handsome reporter, Valentine of whom Miss Dimont is very fond. She is also supported by her long-time friends Auriol, café owner and former war time naval colleague and Athene, the paper’s famous astrologer. I really enjoyed this gentle mystery and will be looking out for the next in the series.